This topic contains 90 replies, has 18 voices, and was last updated by Floob 3 years ago. And with this resolution nearly every system have its own natively aspect ratio. In the case of NES it is 1,06666667. But on real hardware with an real CRT TV the image is stretched to an aspect ratio of 1,333333 (4:3). The result is that the pixel width is not the same as the pixel height. And because of the resolution you have also on a real CRT something patrickm says pixel warping. 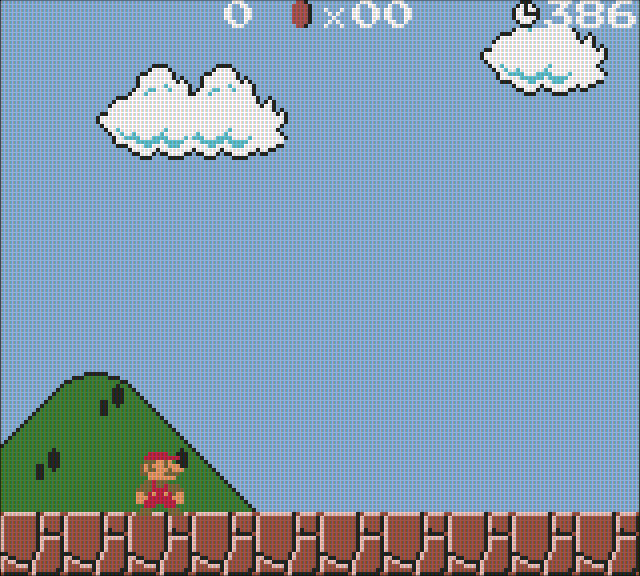 On an emulated system the aspect ratio is not automatically set to an aspect ratio 4:3 (1,33333), but the natively aspect ratio (NES=1.06666667 256×240). You have the possibility to change the resolution and aspect ratio manually, but you have to chose between a realistic aspect ratio of 1.3333333 (4.3) and warping pixels or no warping pixels but also no realistic aspect ratio. Fortunately with smooth on settings you won’t see this warping pixels anymore, because of the of the softness similar to a real (consumer) CRT. I will not write where you can see these pixels exactly, because if you do not know what to look for, it will not attract attention. That’s also why I set the Integer Scale option to off because as already written each system has its own vertical resolution and each line should be a multiple of each emulated vertikal pixels, and I still want the image has an aspect ratio of 4:3. For the current consoles, except for the Master system (and Handhelds), I always use a 4 times the vertical resolution of the original vertikal system resolution. Because each vertikal line on the LCD should be a multiple of each emulated vertikal pixels, I use also a border around the image. Otherwise the emulated image is to small or to big for the resolution of a LCD display as i write later. e.g. NES has a PAL resolution 256×240 and a NTSC 256×224. But the libretto NES cores always show 256×240 as native resolution. The SNES cores shows 256×239 !! pixels as nativ resolution. With integer scale on you can only use scanline overlays if the integer scale a multiple of of the original resolution at x1, x2, x4, x6 because with x3 or x5 you will get 3×239= 717 or 5×239= 1.195 vertical lines, and with this resolution you can’t create a overlay scanlineimage in which the vertical pixel spacing is always the same and fit eh pixelborder. 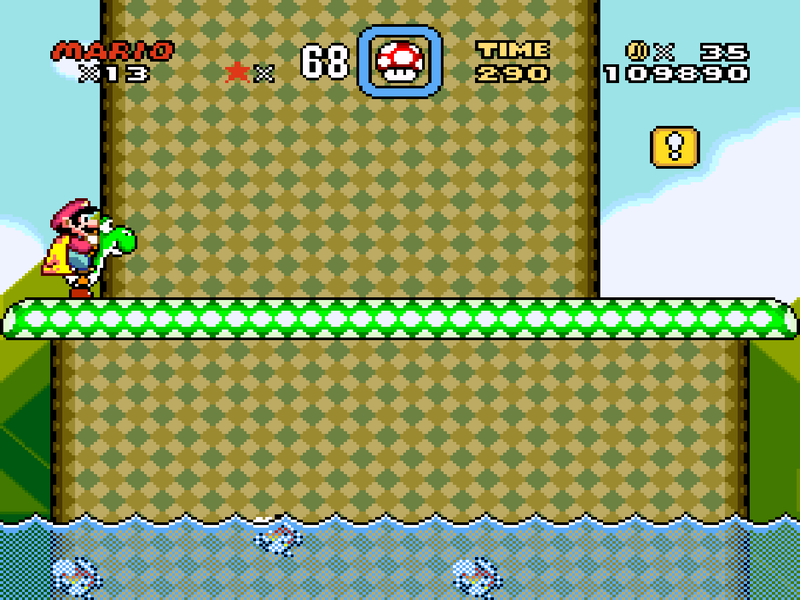 1080p (or also 720p) is sometimes the exactly a multiple of the resolution of the emulated system, but mostly not. If so, you don’t need a black or TV border to get a fullscreen image, if you don’t want. I want to see the whole picture, as it was designed. At the end you have in all these resolutions and aspect ratios a lot to consider in order to get a good looking „authentic“ image. Plus, of course, everyone has a different meaning “good” looks like. I designed my Overlay Images for a 1080p LCD Resolution. On a LCD with other resolution these images does not look good. The overlay image should be at the same resolution as the display resolution. Note: Entries will be only automatically in the file when each emulator was called already once. Otherwise, you can simply paste the entries. If the file does not exist, create the file. Entries are only necessary for emulators that you use and scanlines want to have. # Smoth the emulated image, not the overlay, If you set it to false, it will remain sharp but blocky. I’ve uploaded the retroarch.cfg’s for the individual emulators I use, in my Dropbox. Individual entries that you not need, you can delete. Download and unzip the file and copy each retrorch.cfg in every folder in each system config folder on the RaspberryPi. PSX is a little problem because some games use different resolutions. Also in the game the resolution change sometimes, e.g. cinematics. There is another small problem similar PSX. fba does not emulate one system with one native resolution, but many systems as CPS1 2 3, Konami, NeoGeo and so on. And the resolution differs from system to system. I have chosen a resolution that looks good in the most games i tried. The solution would be if emulationstaion supports configs for each game not only each system. For the handhelds I solved it very similar. But the emulated image I set smaller. And for GB I set the 4 green colors by the emulator itself. -GB: For the nearly realistic green GameBoy colors i use the lr-gambatte core and set up individual colors in a extra file. I find the smooth one looks much better, especially when the image is moving. Also the aspect ratio is correct and the whole picture is not as dark as if the scan lines are all black, I find much better. Especially on a larger screen or television. But of course everyone see that differently. Of course in this guide can be still logical errors (and write errors because I am german) or there are better solutions for some things. Thanks for posting that patl! I’ll have to check those settings out, it certainly looks like a good alternative to shaders. In a couple of places you have said “retroarch.Snes”, do you mean “retroarch.cfg”? Of course I mean retrorch.cfg, now ist corrected. thanks for this info, any guidance on setting up/converting these to 720p? The border itself can easily downsized to fit 720p. But the scanlines have to adjusted. At a display resolution 720p Your Y scale factor could be max 3x. So every emulated Y line must be 3 lines of your 720p display. 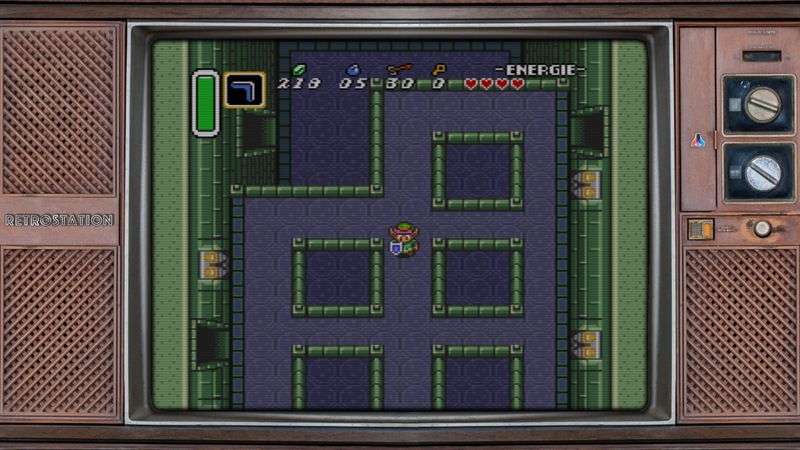 Would it be possible to attach the scanlines as a separate .png file without the Retrostation TV borders? Hallo, because I’m now at work, I’ll post the scanlines without the TV borders later. This scanlineimage works for all systems if the custom_viewport_height is a 4x Y-scalefactor of the original resolution. With my configs it works out of the box for all except Mastersystem, because with it I use 5x Y-scalefactor. Repeat this for each system you want the scaliness. You can use the scanline overlays I posted in “how to get scanlines” if you don’t want the TV border. Well you said the configuration is for retropie 3. I forgot to write. Under 2.6 and below it is indeed technically work, but needs to be set up differently. For what “overlay0_descs = 0” in the overlay config I do not right now. I have the config simply copied from another overlay and adapted to the filename. To my knowledge you can thus define for touchscreen displays overlay buttons. I tried all the configs and it looked good, great work! Could you please explain how to get the green colors for the Gameboy? I placed the palette folder with the “default.pal” file into /home/pi/RetroPie/BIOS but I guess there is more to it. I also noticed a diagonal “/” line in the GBC overlay when playing the gbc super mario game. It was only seen in that game by the few I tested. The right side of the / was darker and the left brighter. It was fading away the more I lowered the input_overlay_opacity. And I made a little mistake in the SNES/Genesis config. hmm, why does the original 1080p png image along with the original settings appear to work fine on my 720p TV. It doesnt seem to look any different to the 1080p TV in terms of aspect ratio etc.. The basis for this otherwise odd seeming resolution is similar to that of other “wide” standards – the line scan (refresh) rate of the well-established “XGA” standard (1024×768 pixels, 4:3 aspect) extended to give square pixels on the increasingly popular 16:9 widescreen display ratio without having to effect major signalling changes other than a faster pixel clock, or manufacturing changes other than extending panel width by 1/3rd. Well, as I grab the video capture before it hits the TV, it shouldnt affect the guides anyway. I hope. After a while and the comments on Youtube on Floobs’s video, I have realized that the whole image was i bit too dark. The easiest way os to increase the brightness on the TV. I have made it so but I use this TV only for Retropie. If someone uses the the TV also for other things like watching movies or so you have to change the brightness always. I found some shaders in the shader folder that increase the brightness of the image within retroarch. It’s a bit difficult because some contrast is lost. Therefore i use another filter so I find the contrast is a better again. In addition i found some failures with the resolution of some emulators. Nothing very much but sometimes the scanlines haven’t match exactly the pixellines. Just copy the files and folders a I explained in the first comment. The overlay for NeoGeo are no longer needed. Now it#s the same as MD and SNES. SO you can delete the old files. The files for all handheld are still the same. Another mistake was a little config with the Gameboy core. and set it to custom. If you leave RGUI and go back to game the setting will be automatically saved in the same file as above. I also updated the links for the files in the first comment. with an 720p TV ( also with 768 Y-lines ) it cannot be that the scanline look as it should because of the resizing of the overlay image as the HDMI output is set to 720p or if HDMI is set to 1080p, then the TV shelf would resize the image. Anyway, the scaliness could not look an fact as they should. The Youtube Video looks good. Stupid Question, but are you sure your TV is a 720p? Or maybe the HDMI Output is set to 1080i on the RaspberryPi? In my last comment I explained what I forgotten but for the green colors. But at my TV a cannot find any diagonal lines in the image. The image above looks exactly so as it look on my TV and the image is only a screenshot through Retroarch. I would imagine that it comes through the resolution of the TV or the resolution settings of the Pi? Or it’s a similar problem that patrickm have with his vertikal scaliness overlay? I am having a similar issue with my aperture grill/phosphor overlay that I’m trying to do. There is a static diagonal tear, starting from the lower left corner of the monitor and going to the upper right corner. The upper/left half is darker and the right/bottom is brighter. patl, first of all, thanks for the updates! Regarding the diagonal line on GBC, I can only see it on the Super Mario Bros. Deluxe (U), have you tried that game as well? Regarding my settings, they are default regarding video in config.txt so EDID should be used, have you specifically set HDMI modes etc there? I could also recommend anyone with a PI2 to try turning “v-sync” on and disable “threaded video”, I feel that the games are running smoother with these settings (PI is overclocked, 1050, 550, 550, voltage 6). I tried to add the HDMI settings as well in config.txt, but the line is still there. It’s the same problem that patrickm has with his overlay. I also noticed it in GB now, but never in any overlay with scanlines. Could it be the grid pattern? I don’t think so, because the handheld grid looks absolutely clear and nice at my display. Exact as in the Mario Bros. image I postet above. But I also have the same issue as patrickm has, as I wrote in his thread. Do you have the same problem with GameGear? It’s 100% the same grid pattern as the GBC, only another Border. And is the problem only with Mario Bros. or also with other GBC games? Maybe someone else can test the handheld overlays and write something … ? 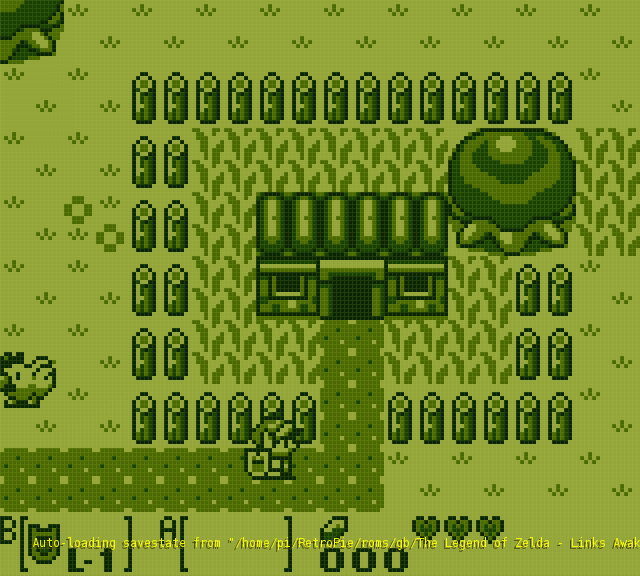 I tried using the glslp shader but Retroarch does seem to recognise it. I can only see glsl shaders. I’m noticing the diagonal tear in any overlay that has a lot of vertical lines. Tried making a phosphor pattern last night, same thing. patl, could you please tell me how the config should look and which overlay to use for PC Engine, lr-mednafen-pce? I tried the NES setup but something seem to differ look odd. Most seem to use 256×239, so a multiple of that would be needed. I haven’t testet it yet. “X (Horizontal) Resolution: variable, maximum of 565 (programmable to 282, 377 or 565 pixels, or as 5.3693175 MHz, 7.15909 MHz, and 10.738635 MHz pixel dot clock) Taking into consideration overscan limitations of CRT televisions at the time, the horizontal resolutions were realistically limited to something a bit less than what the system was actually capable of. Consequently, most game developers limited their games to either 256, 352, or 512 pixels in display width for each of the three modes. Y (Vertical) Resolution: variable, maximum of 242 (programmable in increments of 1 scanline). It is possible to achieve an interlaced “mode” with a maximum vertical resolution of 484 scanlines by alternating between the two different vertical resolution modes used by the system. However, it is unknown, at this time, if this interlaced resolution is compliant with (and hence displayed correctly on) NTSC televisions. 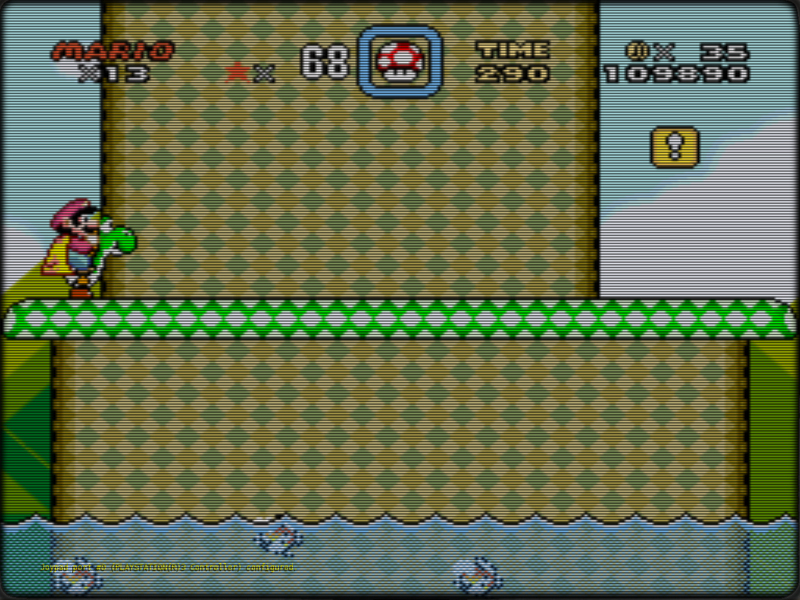 So Floob should be right and the SNES Overlay should work. Which overlays would you recommend for Doom and Cave Story? So in order that the height not lose native aspect ration = 1080 / 239 = 4.51(plus rounding). Although I know you have suggested 1194×896 for SNES. So why might you not want to use the calculation above? Because as far as I can see it maintains the native resolution as well as maximises screen area. Or are you saying because most CRTs would have forced an effective 4:3 view, you want to maintain that aspect ratio? First I want to have a nearly 4:3 aspect ratio. So the image would look stretched in height. The next point is the scanline overlay image. So that each scanline fits each emulated Y pixel line, each scanline must be a multiple of the emulated Y pixel. Theoretically e.g. 239 x4 or x5 = 956 or 1195 Y lines on the scanline overlay image. Only if I use a native Y resolution of 224, the scanlines fit the pixels. For PC-Engine the retroarch core uses a 320×232 !?! resolution. I’ve made an extra overlay for this system. I also cleaned up the filepaths and names a bit. And I noticed that the shaders I used for the better brightness causes slowdowns anyway. Especially with PSX it’s very laggy. Without shaders it’s flawless. So I deactivated the shader again and reworked the overlays a bit. The result is not so much brighter but I think it’s ok for now. For FBA I must rework a little due to different resolutions I explained earlier. Currently I just use the Neo Geo settings. There comes an update soon. Doom I think it has a VGA resolution of 320×340, so the overlay for NES-PSX should work. Thanks for the update. I’ll get those changes applied to my tool soon. I agree, the shader, whilst brightening the image does appear to slow it down a little. I think a lot of the definition of your sizing relates to you wanting the 4:3 ratio – would that relate to the “nostalgia look” mentioned here? Also, I find there is a lot of variation in FBA roms, so I tend not to force the resolution there. I am very grateful for the work you have put into these overlays and configs. They look excellent! He told you the wrong resolution for Doom. It’s 320×200 native so you are going to lose a lot of screen space at 4x scale. I recommend using 5x scale or 1280×1000 and the 5x overlay I provided. I knew not this thread so far. Since it is more about getting the native aspect ratio of the system resolution. The course you can use also this Aspect ratios and resolutions, but I think it looks nicer with a 4:3 aspect ratio because the CRT TV’s picture is also 4:3 stretched. As I said, I havn’t testet it. If the Y Resolution is really 200, patrickm is right of course. 200 x 4 would result in too much black borders. or with the MasterSystem TV Border Overlay but then about 40 Y Lines would be cut off. And it could be that you have to play a bit with the custom_viewport_y in the retroarch.cfg so that the scanlines fit the pixels and the image is in middle of the screen. I am having a little bit of difficulty getting the TV Boarder to show and was hoping you could help. I have downloaded the configs, palettes and 1080p 4-3 zip linked in post #19, however I seem to have no TV Boarder. Am I correct in thinking that this can only be achieved with the 16-9.zip in the first post? (link no longer works). So with this all done everything looks great, I just dont have the TV Boarder. What am I missing?